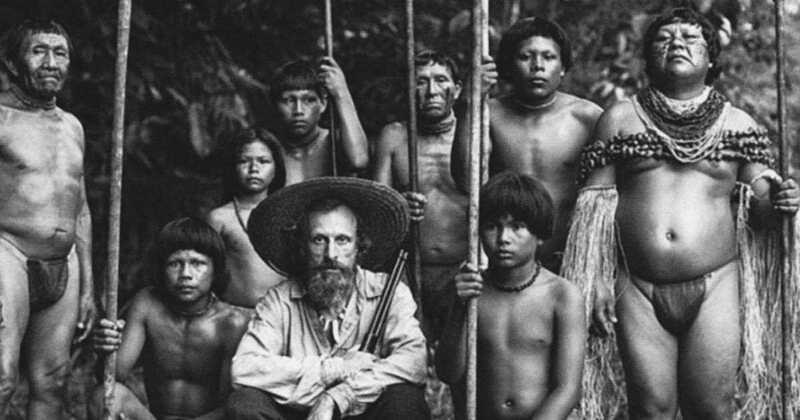 El abrazo de la serpiente (English: Embrace of the Serpent) is a 2015 internationally co-produced adventure drama film directed by Colombian Ciro Guerra, starring Jan Bijvoet, Nilbio Torres and Antonio Bolívar. Shot in black-and-white, the film won the Art Cinema Award in the Directors’ Fortnight section at the 2015 Cannes Film Festival. It also won the Best Ibero-American Film at the 3rd Platino Awards, and it was nominated for the Oscar to Best Foreign Language Film at the 88th Academy Awards. The movie was filmed in the Amazonía region of Colombia, and it tells the story of the relationship between Karamakate, an Amazonian shaman and last survivor of his people, and two scientists who work together over the course of 40 years to search the Amazon for a sacred healing plant.